Combining her passion for social development, and love of beautiful handmade quilts, Ho Chi Minh City (HCMC) dentist Thanh Truong worked with NGO Mekong Plus to form Mekong Quilts in 2001. 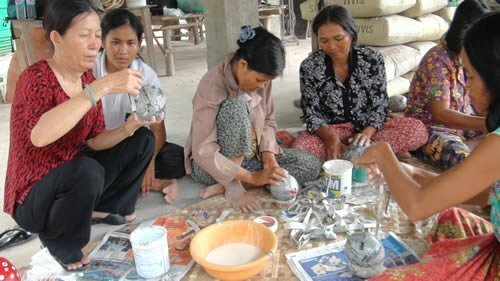 The main aim: creating sustainable employment for under-privileged women in remote and rural regions of Vietnam and Cambodia. Quilting is a perfect craft for employment generation – it requires low initial investment, and the women can work from home so they stay close to their families. The program started with just 35 women. The first quilts were sold ‘Tupperware-style’ in homes of friends, volunteers and supporters. To expand the program, a stand-alone store in HCMC was opened, thus increasing employment opportunities for even more women. The social enterprise quickly flourished. Mekong Quilts, incorporating Mekong Quilts and Mekong Creations. We are a social enterprise specializing in high quality, hand crafted quilts and accessories. The Indo-Chine inspired quilt range uses patchwork, piecing and intricate stitch detail to create a contemporary aesthetic. We use only the highest quality silks and cottons, along with beautiful vintage ethnic embroideries in our quilts. Our accessories range combines the use of environmentally sustainable raw materials such as bamboo, water hyacinth and papier mache with traditional hand craftsmanship to create innovative designs. All materials are locally sourced. Mekong Quilts products can also be custom made to meet our client’s individualized aesthetic, and to the high standard of ‘workwomanship’ that our reputation is built on. In 2010, following on from the success of Mekong Quilts, Mekong Creations was established to diversify the product range, which included handcrafted accessories and gift items. 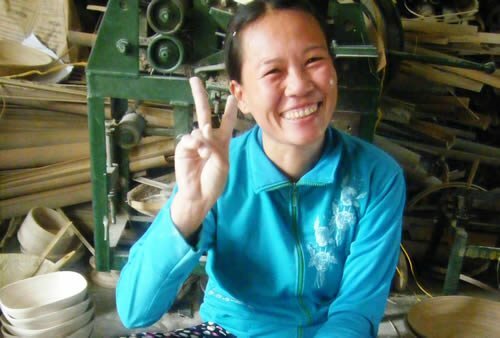 The social enterprise now employs over 200 women in communities northeast of Ho Chi Minh City, Duc Linh and Tanh Linh, Ham Thuan Nam (Binh Thuan Province), Long My (Hau Giang province) in the Mekong Delta and Rumdoul (Svay Rieng province) in Cambodia. 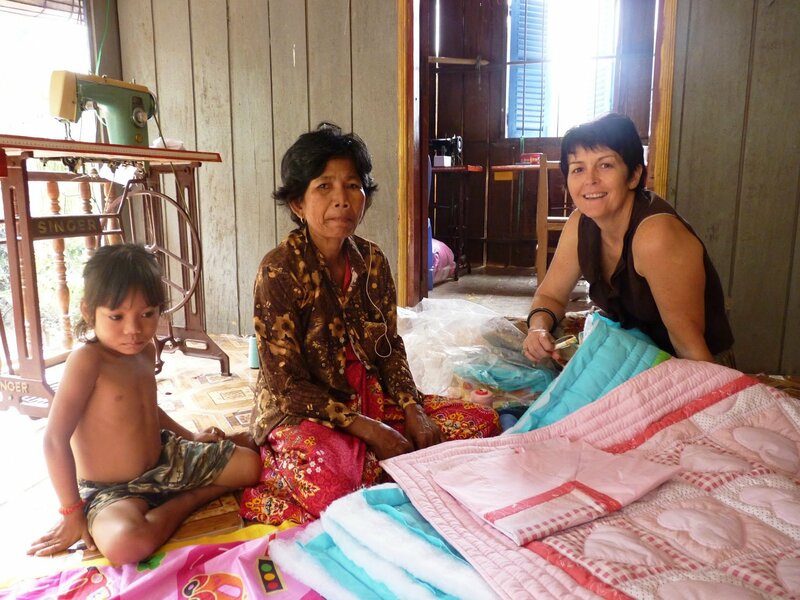 Besides direct economic benefit to the women, all profits from your purchase of Mekong Quilts products are (via our NGO) used to support the wider community through development initiatives such as micro-financing, scholarships, and health, hygiene and agricultural education programs. Today Mekong Quilts and Mekong Creations have joined together to create a unified identity, Mekong Quilts. See this 3’45” video on how the employment and community development programs are closely connected. See this 8’32” video to learn more about the story of our parent NGO Mekong Plus. See this 0’50” video to discover how strong is our bamboo mountain bike. See this 2’20” video to discover our bamboo cyclo, a new way to promote our bamboo project.